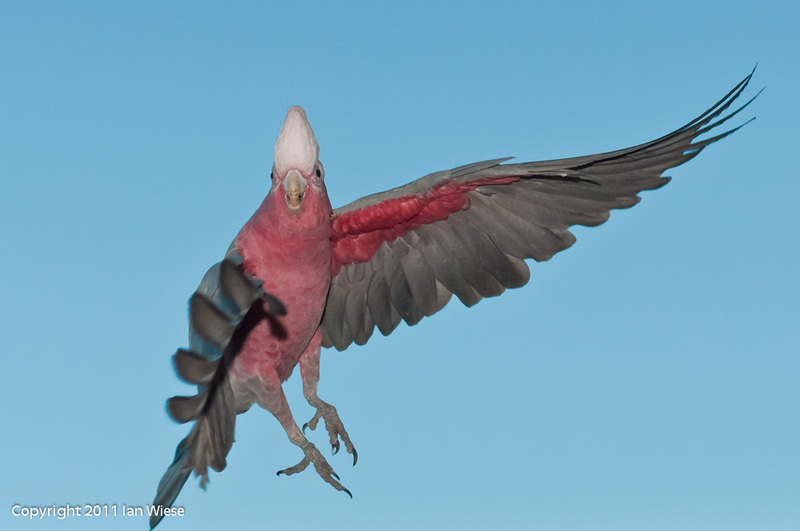 We have about 10 pink and gray galahs who visit our balcony daily for a feed. They are real characters and often chat away to us. This one was just about to land. This entry was posted on May 2, 2011 by ianwiese. It was filed under Birds and was tagged with birds, galahs. Yes – the flash surprised him! But he tucked in to the birdseed anyway. We have one pair who are quite tame, but the rest are nervous if we get too close.